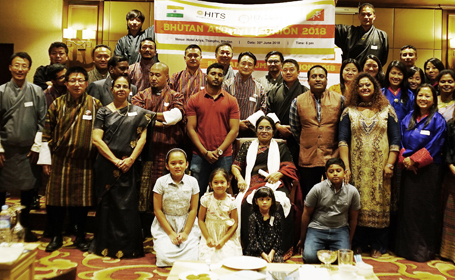 HGI–Bhutan Alumni Association celebrated their Reunion on 30th June 2018 at Hotel Ariya, Thimphu, Bhutan. 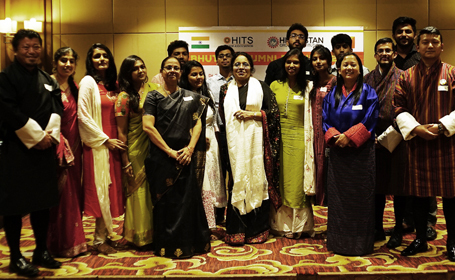 Around 70 Alumni from all the Educational Institutes of Hindustan Group of Institutions attended the event. Dr. Mrs. Elizabeth Verghese, Chancellor, HGI; Mr. Ashok Verghese, Director, HGI; Mrs. Mili Maria Chandy, wife of Mr. Ashok Verghese; Dr. Samuel Sampath kumar, VP, HCAS; and Dr. Sheeba Chander, HoD, School of Architecture participated in the Alumni Reunion that was organized by Ms. Pragatha, HITSAA Coordinator, HITS; and Mr. Krishna Subba, President; and Mr. Nawaraj Chettri, Vice President, HGI-Bhutan Alumni Reunion. Alumni were given badges bearing their name, Institution’s name and year of graduation. 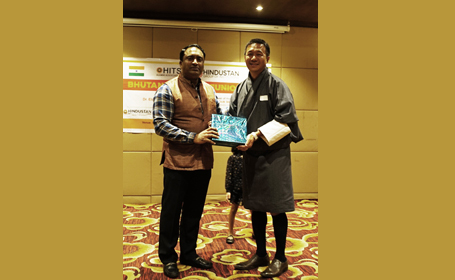 Mr. Krishna Subba welcomed the august gathering. Dr. Mrs. Elizabeth Verghese in her Key Note Address expressed the importance of alumni who are the brand ambassadors and perennial assets of any educational institution. She invited all alumni to visit their Alma Mater for Alumni Talk and share their expertise to students through technical sessions. Dr. Mrs. Elizabeth Verghese also urged the senior alumni to let know the opportunities for internships, research projects, placements or industrial visits in their organizations. Most of our alumni are in coveted positions. To name few, Mr. Karma Dupchuk is the Director of Dept. of Electrical Sciences, Govt. of Bhutan; Mr. Kenchu Dum, is the GM, CDCL, Construction Development Corporation Limited; Ms. Kunzang Wangmo is the Planning Officer in Govt. 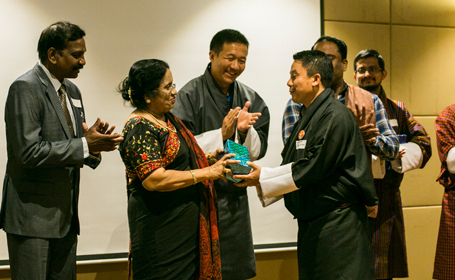 of Bhutan, Gross National Happiness; Ms. Sonam Tshering is the Planning Officer employed in WHO; and Mr. Deependra Pourel, is an Environmental Architect in Thimphu, and has won US $10, 000 grant from UN Environment to improve energy efficiency across the country in Bangkok, Thailand. Alumni shared their current progression and future plans through PPT. Mr. Dorji, Alumnus of HCAS drew the reminiscences with the Alma Mater showcasing the photographs. The reunion concluded with a Bhutanese cultural dance performed by the alumni. Alumni gave a portrait of Bhutan’s King’s family as a souvenir to Dr. Mrs. Elizabeth Verghese and Mr. Ashok Verghese.